Zika virus infection (ZIKV) is usually a mild febrile illness transmitted by mosquitoes. It is symptomatic in only about one in every five cases, causing flu-like symptoms and a mild rash. Although generally thought of as a less severe disease, Zika can occasionally cause serious neurological complications in both adults and the developing fetus – following maternal infection with the virus. It was first isolated in 1947 from a monkey in the Zika forest, Uganda. 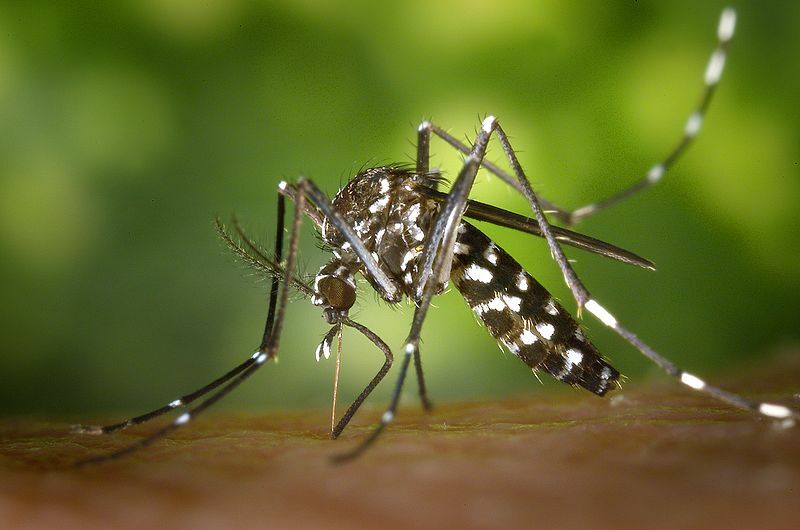 It was later identified in Aedes mosquitoes (better known as ‘Tiger’ mosquitoes) from the same forest in 1948, and the first human case was described in Nigeria in 1952. Before 2007, a few small outbreaks were documented in tropical Africa and in some areas in Southeast Asia. However, two epidemics in the Pacific heralded the global spread of the virus: the first in Micronesia in 2007, and a second, very significant outbreak resulting in 55,000 patients in Polynesia at the end of 2013. Zika virus outbreaks were then subsequently reported in South America in 2015 for the first time: in Brazil, Columbia and Mexico. Further transmission has occurred to countries in South, Central and North America, the Caribbean, Africa and Asia. ZIKV is classified as one of the new emerging diseases; the virus belonging to the same family as the chikungunya virus (CHIKV) and the virus that causes dengue fever. It has the potential to spread to any areas where the Aedes mosquito vector is present. Aedes mosquitoes are considered to be the main ‘vectors’ (agents of transmission) of ZIKV – they are also responsible for the transmission of dengue and CHIKV. These mosquitoes are mostly active during daytime, and therefore it is important that all travelers visiting affected areas continue to take protective measures to prevent mosquito bites throughout the day. Serological surveys in Africa and Asia indicate a ‘silent’ ZIKV circulation with detection of specific antibodies in various animal species, including rodents and large mammals such as orangutans, zebra, elephants and water buffaloes. Important additional modes of transmission have also been identified. Perinatal transmission can occur by trans-placental transmission or during delivery when the mother is infected. When a fetus is infected early on in pregnancy with the Zika virus, serious neurological consequences have been widely reported. A failure of normal brain development can occur, leading to the formation of an abnormally small head: this is termed microcephaly. The disastrous effects on the cognitive function of the child have consequences for the individual, the family and possibly the affected country, as thousands of severely impaired children are born. Other neurological consequences such as a loss of normal gyrus formation in the brain, the occurrence of cerebral calcification, and deficits in both ocular and aural function have also been reported. Taken together, the incidence of birth defects due to the Zika virus occur in 6% of babies born to mothers who have been infected with the virus. Another 8% of babies, who were seemingly unaffected at birth, develop problems in the first months of life. These consists of seizures, or movement disorders; swallowing difficulties, or hearing and visual impairment. Learning difficulties can also become evident. In total, around One in Seven babies can be affected with Zika: the abnormalities sometimes detected before birth, sometimes developing afterwards. Disease symptoms are usually mild with a short, self-limiting febrile illness occurring of 4–7 days’ duration. In addition to the microcephaly and the other fetal neurological abnormalities mentioned above, Zika can also cause Guillain-Barré syndrome in adults. Although rare, Guillan-Barré syndrome is a serious neurological condition seen in adults, characterized by a progressive loss of muscular power. Following 6-10 days after the start of a Zika infection, the patient may start to experience tingling (paraesthesia) of the hands and feet that progresses to weakness of the limbs. In many cases the diaphragm can become affected, meaning that if artificial ventilation is not instigated, the patient would die. Management of the patient at this stage takes place in the intensive care unit of hospitals; often long stays are required before the patient regains the ability to breathe for themselves. As hospitals usually have a very limited number of beds in their intensive care units, a patient requiring many weeks of therapy may well put strain on their ability to manage other critically ill patients that also present during this time. Diagnosis of ZIKV is first and foremost by history, based on symptoms, travel history and exclusion of more serious diseases including measles, rubella and dengue. Where facilities allow, ZIKV disease diagnosis is based on direct detection of viral RNA from clinical specimens in acutely ill patients. Definitive confirmation is by taking samples of blood within 5 days of symptom onset, followed by a second sample 2–3 weeks later. These samples are tested for serial changes in antibodies. It is important to take two samples in order to rule out false positive tests due to cross reactivity with similar viruses such as dengue. Co-infection with other mosquito-borne diseases such as dengue fever, CHIKV and malaria, should always be considered. Management is symptomatic and mainly based on pain relief, fever reduction and the use of anti-histamines. There is no specific treatment for ZIKV and acute symptoms typically resolve within 4-7 days. There is no prophylactic medication or vaccine to protect against ZIKV infection. Therefore, mosquito management programs alongside personal preventive measures are recommended to avoid infection. There is special advice relating to pregnancy and advice for couples to prevent sexual transmission of the virus. In affected outbreak areas, elimination of adult mosquitoes through aerial spraying with insecticides should be considered. Remove potential mosquito breeding sites, in or near premises [see above]. Pregnant women considering travel to an area where ZIKV transmission is known to occur are advised to defer travel until after the pregnancy. Women are advised to avoid becoming pregnant while in a Zika-affected area and for 8 weeks afterwards. If a woman becomes pregnant while in a Zika-affected area or within 8 weeks of return from a Zika-affected area she should bring her recent travel to the attention of her doctor. If a pregnant woman has a proven diagnosis of Zika, or the fetus shows signs of possible Zika-associated abnormalities, more extensive healthcare checks will be needed whilst pregnant, and during the first months to years of the baby’s life. The virus can be transmitted from a Zika-infected man to his female partner, whether or not the man was ill with the virus. This is also true of the transmission from a pregnant mother to her developing baby: you do not have to have symptoms of Zika to be infected, and for foetal developmental abnormalities to occur. Insect repellent use must be strictly in accordance with the instructions indicated on the product label. For newborn children under three months of age, repellents are not recommended. Travelers, especially children, pregnant women, and people with immune disorders or severe chronic illnesses, should consult their doctor or seek advice from a travel clinic to receive personalized recommendations on the use of repellents and protection against bites, before traveling. A consideration whether these certain groups should be traveling at all to Zika-affected countries is particularly important.